When the week is so busy from substitute teaching, tutoring at my home, and working on posts, etc, then I tend to revert to the easy route which involves buying a rotisserie chicken. They’re really good, and it’s so easy to add our favorite frozen veggies and/or a salad. And…when it’s just me and my husband, it will last for three meals! Wednesday Finish rotisserie chicken by making Rotisserie Chicken Soup out of it. Oil cookie sheet with olive oil and sprinkle with corn meal. Preheat cookie sheet while preheating oven to temperature in pizza dough directions. (I think it’s 400 degrees). Take cookie sheet out of oven and carefully spread dough on hot cookie sheet, top with sauce, cheese and favorite toppings. Bake according to directions. 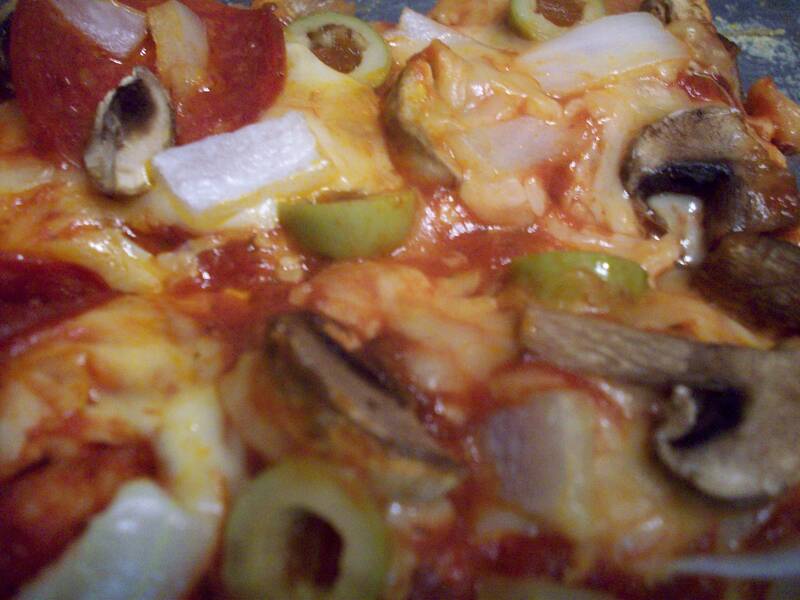 This entry was posted in Menu Plan Monday and tagged reduced fat pizza by Charla. Bookmark the permalink. I love stretching out a good baked chicken, too! Yeah, it’s great to not have to cook every night and it’s economical! That pizza looks really good! We used the Pillsbury thin crust dough for our pizzas tonight. 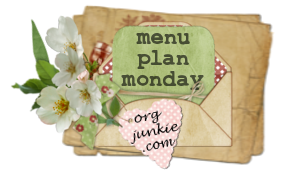 .-= Christi´s last blog ..Menu Plan Monday – Cheap Week =-.